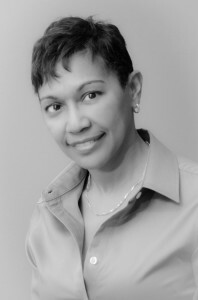 Luz Pellot is a software consultant with more than 20 years of software and hardware experience. Luz currently holds the position of Business Systems Analyst with Xerox Corporation. In her role, Luz provides software support to a wide of array clients across the globe that represent diverse industries including healthcare, financial institutions, retail, insurance, and manufacturing. Luz holds a Bachelors of Arts degree from Kent State University. Luz is co-founder of a women’s social network group, WH2 (Women’s Happy Hour), est. 2010. She is a board member of Plexus (LGBT Chamber of Commerce), The Diversity & Inclusion Chair and Steering Committee member for the Human Rights Campaign – Cleveland. Her volunteerism has also included past experiences including Co-Chair of the Gay Games 9 Party and Special Events Committees, Outreach Committee Co-Chair of the North Coast Mens Chorus, as well as providing support to PFLAG (Parents, Families, and Friends of Lesbians and Gays).